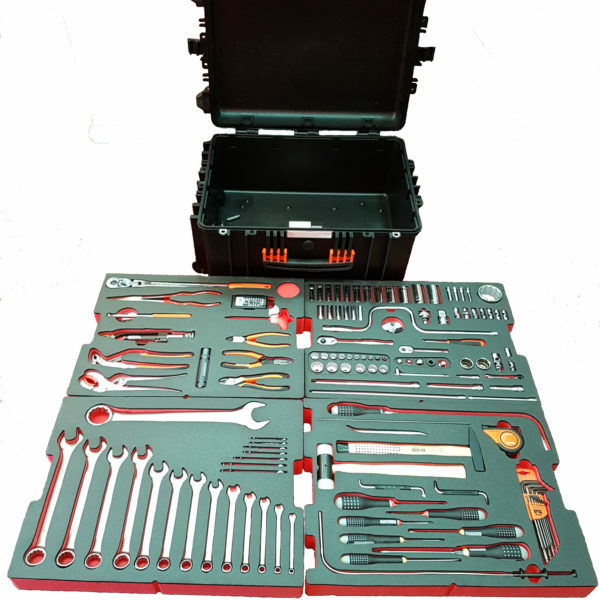 This kit includes 147 BAHCO hand tools. All tools are laid out in shadow foam layers. 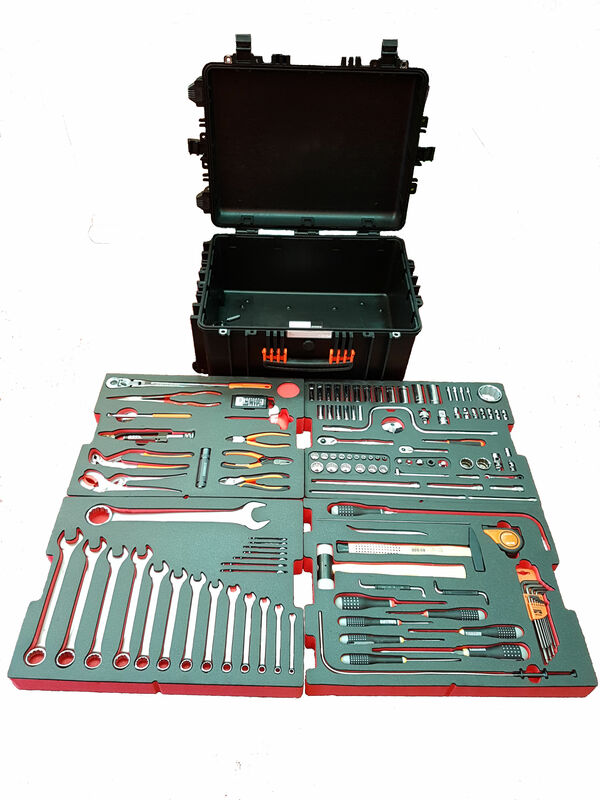 This kit is easily portable, as the trolley case comes with wheels and handle to make it easier to pull the case around. This makes the tool kit perfect for use on the go.